Who in Toronto can make my dream wedding dress? Do You Have A Dream Wedding Dress, and Wonder Who Can Bring It To Life? So your beloved partner has popped the question! Even better, you have said yes! Now the fun part; the planning! Ok so where to start right? 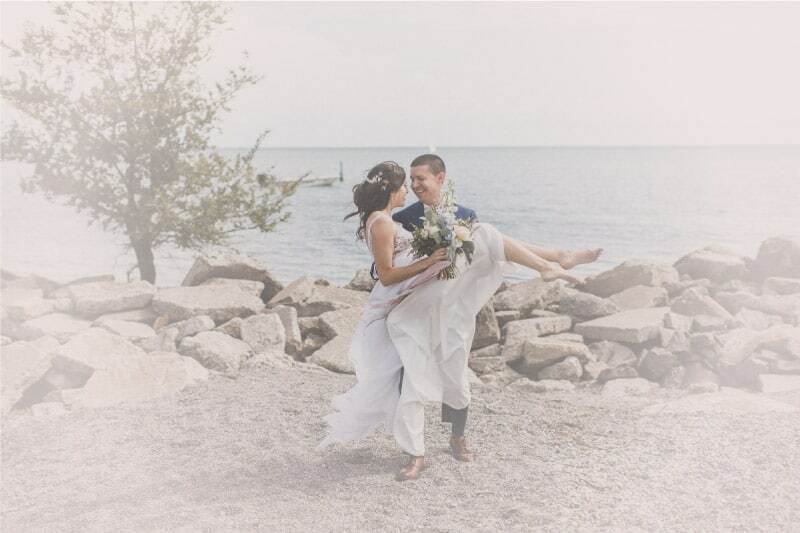 Well, one of your very first questions might be “who in Toronto can make my dream wedding dress?” Have no fear, Valencienne here! The beautiful Mashiat came to Valencienne with a year and half lead time and she explained to us that her wedding was going to take place in Bangladesh. She had envisioned an exceptionally grand wedding. Mashiat had done extensive research and decided Valencienne was the Atelier who was going to create this one of a kind extravaganza!! While listening to her, I began to sketch and the more she spoke, the more intricate the details became. We have made very large gowns in my 35 years of creating, and the size really did not concern me. What did was the shape and pattern of this skirt was very unusual and extremely difficult to produce. I explained to Mashiat that we had made many grand skirts in the past using full crinolines however; we had yet to make this cut of skirt. The inside is made entirely of boning to create a hard unbendable structure which serves as the base. A Fabulous and Exciting Challenge for Valencienne. Not one to shy away from any new challenge, and truly having the love to push boundaries, we entered into a wonderful creative relationship. Mashiat brought lots of inspiration pictures and I got to work on the sketch. She wanted to appear like a princess that just stepped out of a Disney movie made up of diamond white silk organza, soft ice blue, and shimmer tulle fabrics. The Dream Came to Life! The bodice and skirt are covered in three dimensional flowers and petals that each had to be beaded with pearls and Swarovski crystals alternating in colour and size. French lace is lovingly hand sewn onto our luxurious layers of fabrics which serve as the base for our hand appliquéd details. The bodice and skirt are adorned with the perfect amount of Swarovski crystals to not overpower the incredible jewellery, which was perfectly designed by Elsa Corsi. Elsa Corsi created her matching tiara, necklace and earrings. For the pièce de résistance; matching crystal arm cuffs that attach to her sleeves. 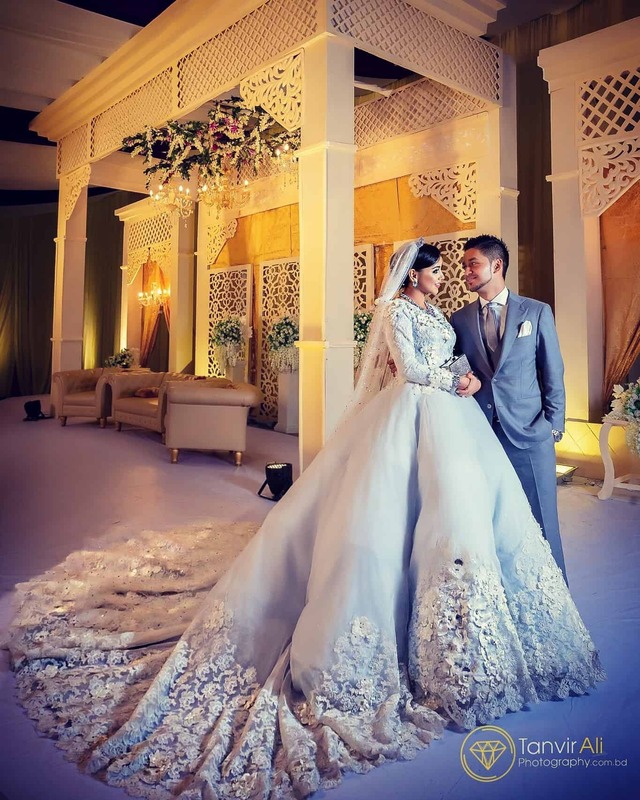 The gown itself had 80 meters of fabric, 26yards of lace and 18 meters of canvas. The shell of the dress had 75 yards of boning and 250 meters of crinoline. Thousands of pearls and Swarovski crystal 700 flowers, petals and leaves each beaded. The gown is lined in 18 meters of shimmer cut crystal tulle. Tad, her wonderful Fiancé said, “Kim you are killing me!” I felt so badly for all of my crazy ideas that I gifted them one piece as I felt they were a must and the finishing touch!! Couture translates literally from French as “dressmaking” but may also refer to fashion, sewing, or needlework. A haute couture garment is designed for the individual client, tailored specifically for the wearer’s measurements and body stance. There are certain requirements in order to say a garment is Haute Couture. 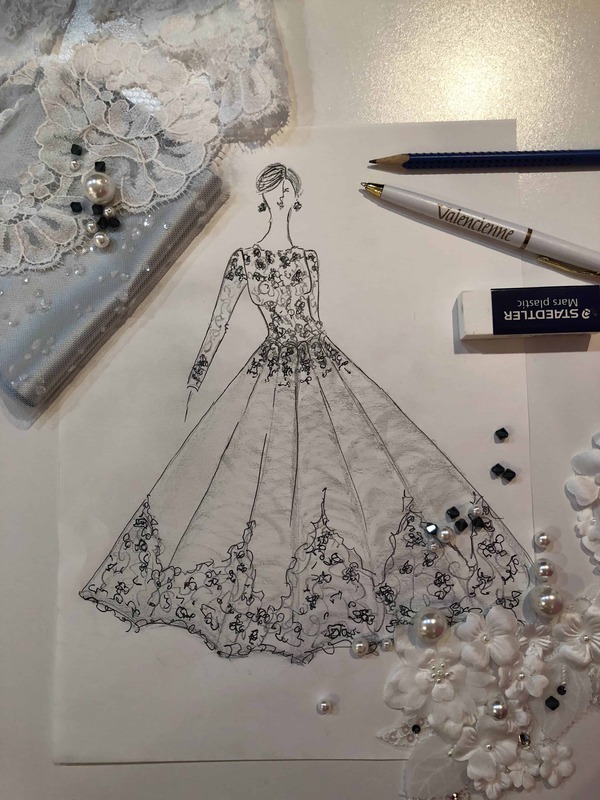 Considering the amount of time, money, and skill allotted to each completed piece, haute couture garments are the ultimate in bespoke bridal luxury. 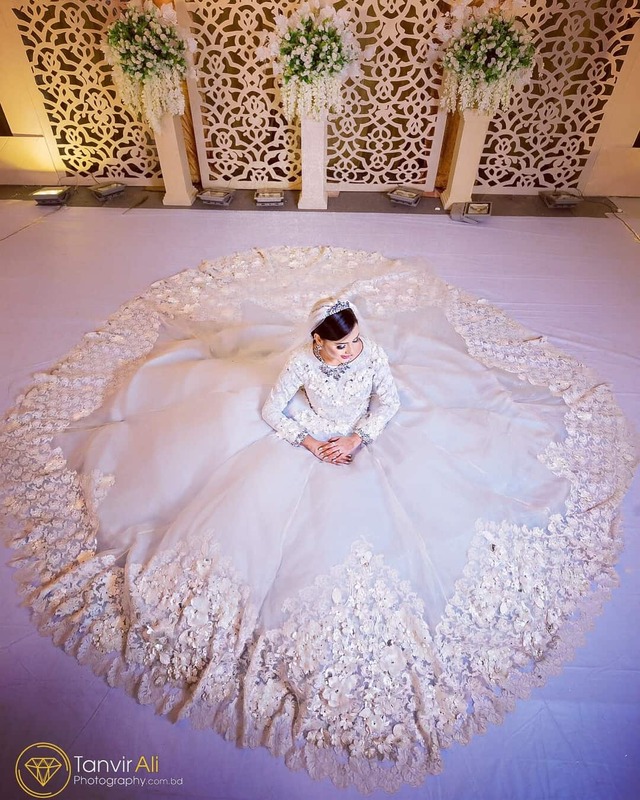 This stunning gown even traveled to Bangladesh in a special custom crate for safe keeping. Dreaming of Your Perfect Wedding Dress? In closing, it’s a beautiful relationship when your client trusts your love of craft and truly appreciates the attention to detail that goes into creating such a gown. 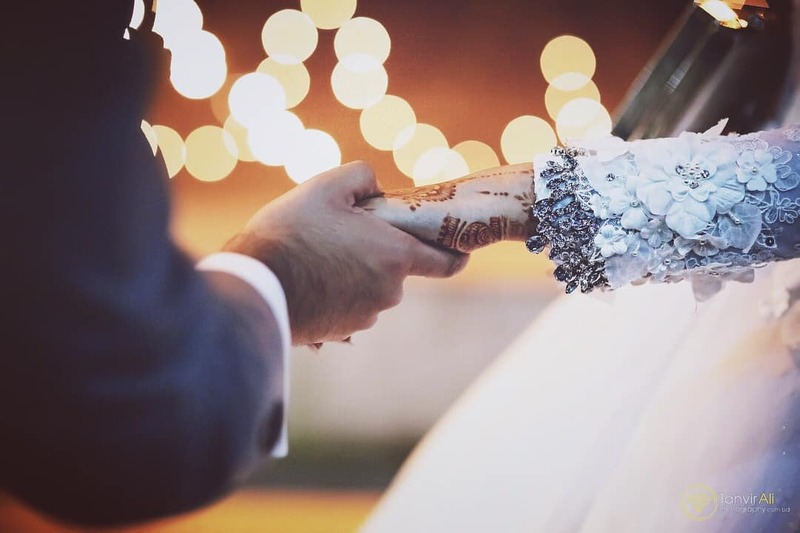 We had a very magical relationship and we wish Mashiat and her wonderful Husband Tad a fairytale life together. Are you getting married, and wondering “who in Toronto can make my dream wedding dress?” look no further. 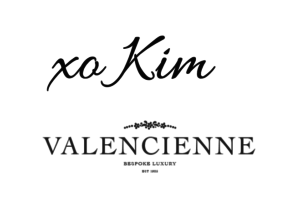 Here at Valencienne we are so proud to have even made BlogTO’s top 10 wedding dress designers list! Click here to read what BlogTO had to say. 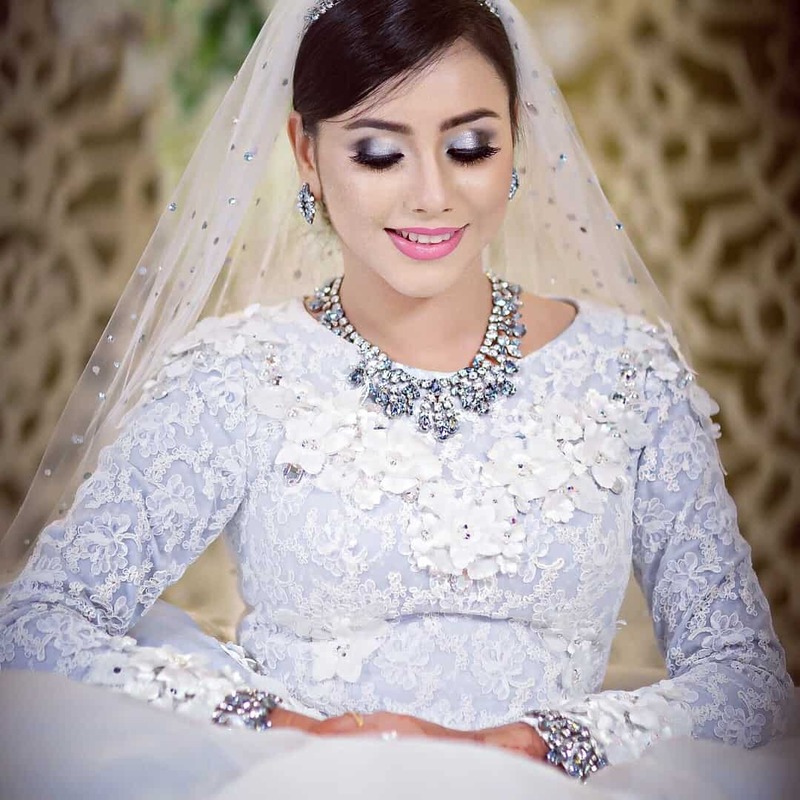 Valencienne would be happy to assist you in your dream wedding dress. 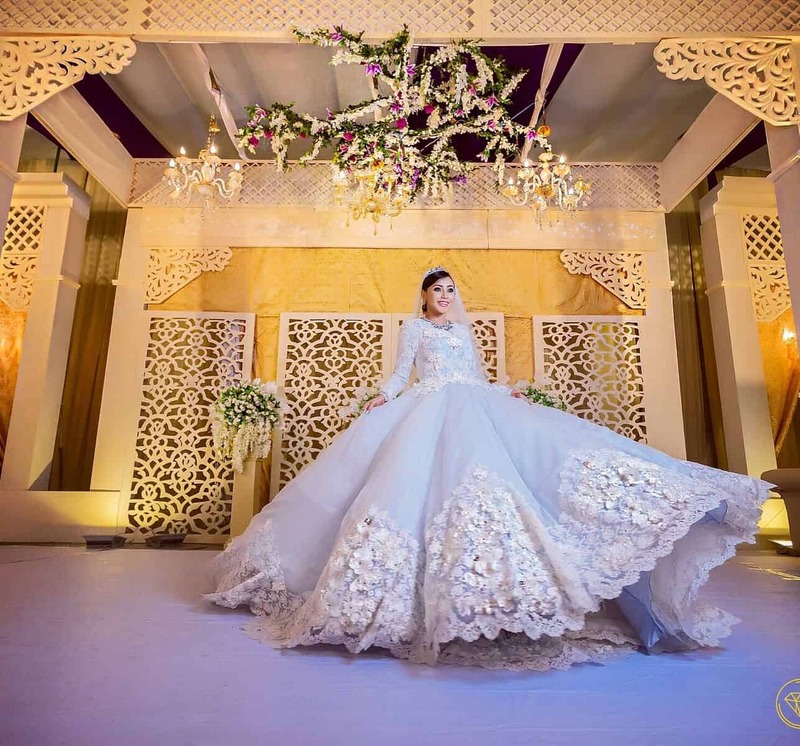 If you want to look at more examples of custom dresses we have crafted click here. Or contact me to discuss your happily ever after dress!